While most designers bask in the glow of a post-show bow, Japanese fashion maverick Rei Kawakubo never takes to the stage ensuing her catwalk creations. 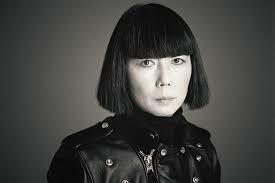 Kawakubo is the illusive and ground-breaking founder of fashion brand Comme des Garcons. Growing up with an opposition to trendy fashion in the typical sense, Comme des Garcons was always one of my favourite brands, I followed religiously, scrimping together my meagre pocket money to buy Nylon and Vogue each month. Rei Kawakubo brought the statement back into fashion, at a time when the industry was saturated with the glamour and gloss of the 80’s sexualised cuts, colour pop and power shoulders. Kawakubo debuted her first collection, ‘Lace’ at Paris Fashion Week in 1981, a collection which led her fans to become known as ‘crows’ due to their love of the draped and deconstructed black garments. While the crows may have loved her concepts, Comme des Garcons was not immediately accepted by the fashion crowd, who simply didn’t get her concept, and was accused of being ‘post-atomic’ with political undertones. Many shows later, Comme des Garcons had become synonymous with the avant garde and had made its mark on the fashion world, who had come to expect unique concepts and statements about the state of the industry to be shown through Kawakubo’s work. In the late 90’s, Kawakubo grew weary of the sexualisation of women’s bodies in the fashion industry and produced the ‘bumps’ collection, or professionally known as ‘Dress meets body, body meets dress’. In the 1997 collection, Kawakubo used padding to create lumps and bumps on other wise form fitting clothing, creating strange silhouettes of hunchbacks, comically huge hips and growth like protrusions. Her Autumn 2012 Ready-To-Wear collection was Kawakubo’s way of calling out the duplicated feel of fashion, how it had become cheap and two-dimensional, a churned out mass production of trends. For this Kawakubo showcased garments printed in such a way that they appeared to be worn by paper dolls. She also deals with tough emotions through her art. One of her more recent collections ‘Ceremony of Separation’ deals with the ways people in Eastern, Western and ancient cultures deal with death and loss. The show included a small number of looks, eighteen in total, showcased by faceless models adorned in lace, black ribbons and hints of gold, its ornate gleam symbolising the death masks of past civilisations. Kawakubo is an inspirational woman, both as a feminist who loved calling her label ‘like boys’ after growing up in the suppressed forties and fifties, and as a true artist who always stood by her remarks on fashion and communicated profound messages through her work. Her determination in growing a rebellious conceptual platform into a multi-million dollar fashion company is a perpetual encouragement to struggling artists, who’s work, like Kawakubo’s in the 80’s, is currently under appreciated and misunderstood.